Why Is Meek Mill Brushing His Teeth In This Photo? 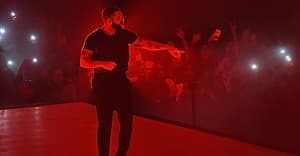 If you're anywhere near a phone or a computer right now, you're probably aware of Drake's victory lap performance taking place in Toronto. Drizzy went so far as to project all of the anti-Meek memes he could find on stage at tonight's OVO Fest declaring "You did it to yourself boy. I won't let nobody disrespect my city or what I stand for." Meanwhile, Meek Mill decided now was the perfect time to post a dentist ad on Instagram. Strange. Check out some of the best reactions from Twitter below.